For any self-confessed bird nut, a four-way all-inclusive Gardman Kit is a dream come true. 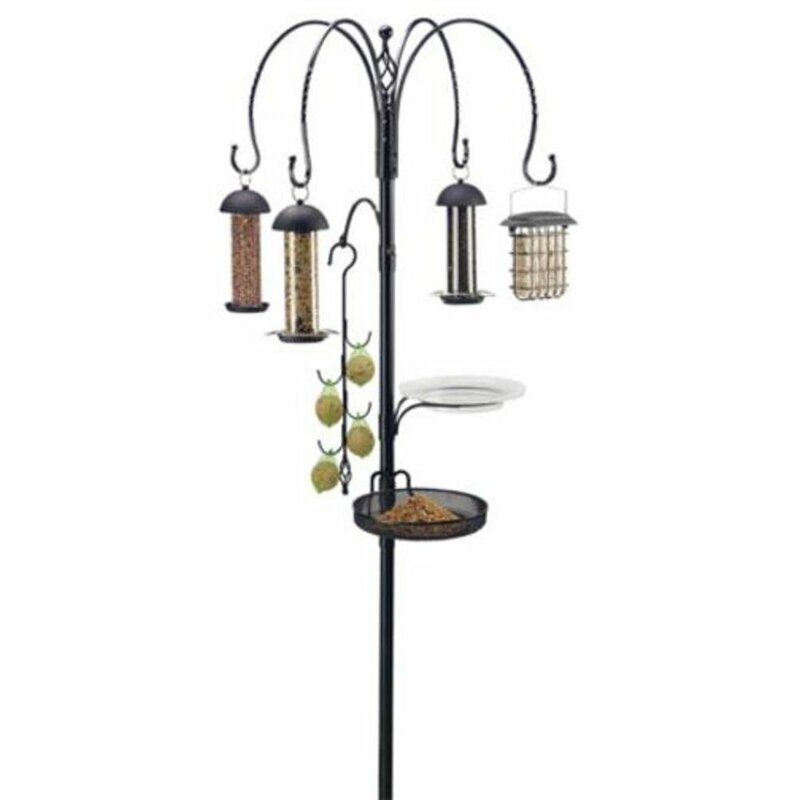 This stately steel tower multi-system has a feeder station for virtually any bird species you could hope to attract: three hanging tube feeders, a suet cage feeder, a suet-ball arm, a mesh tray feeder, and even a little receptacle for water! Standing over 7' tall, its durable and slim-profile construction will turn your yard into a colorful, vibrant oasis bursting with birdsong. The Gardman Premium features the resilient, heavy-duty construction of the Gardman legacy and is a great investment for the true bird enthusiast.